This is for WHITE -Submersible Underwater Lights all with batteries included-Just twist the light it is an easy on/off switch with replaceable batteries.The battery included gives the lights 12-16 hours of operation. These are notreturnable. The batteries for these are CR2032-and 2 are used in each light.The size of these lights are 1" tall and 1 1/4" across. 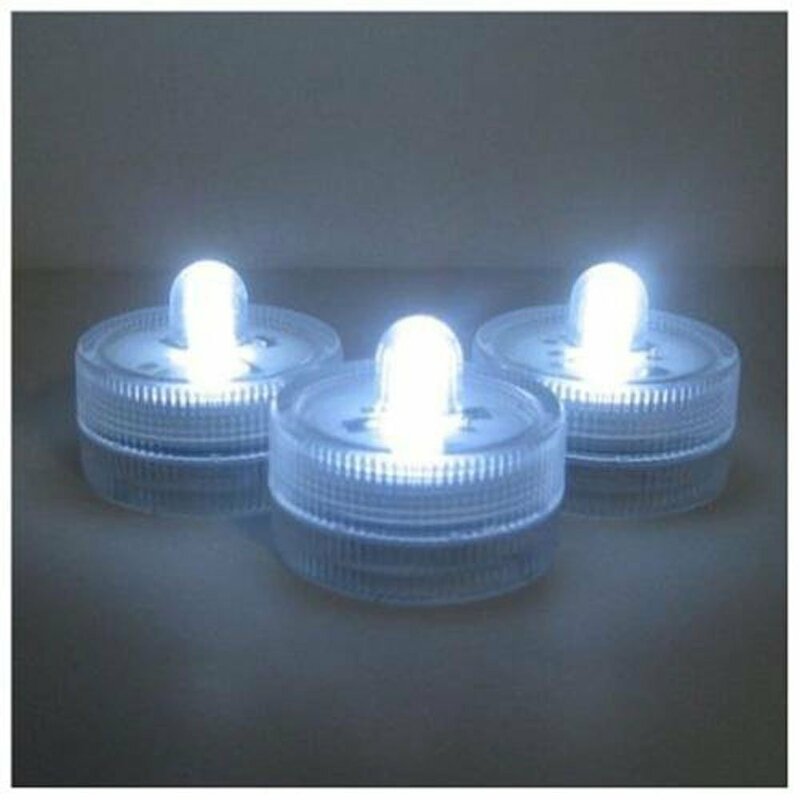 These lights can beused for Parties in arrangements or put in a Pool of water, fishtanks,anywhere you want to light up.